Updated on April 23 with information on the Restore the Lagoon event. This is quite a list, and I can’t thank the organizers of these activities enough. 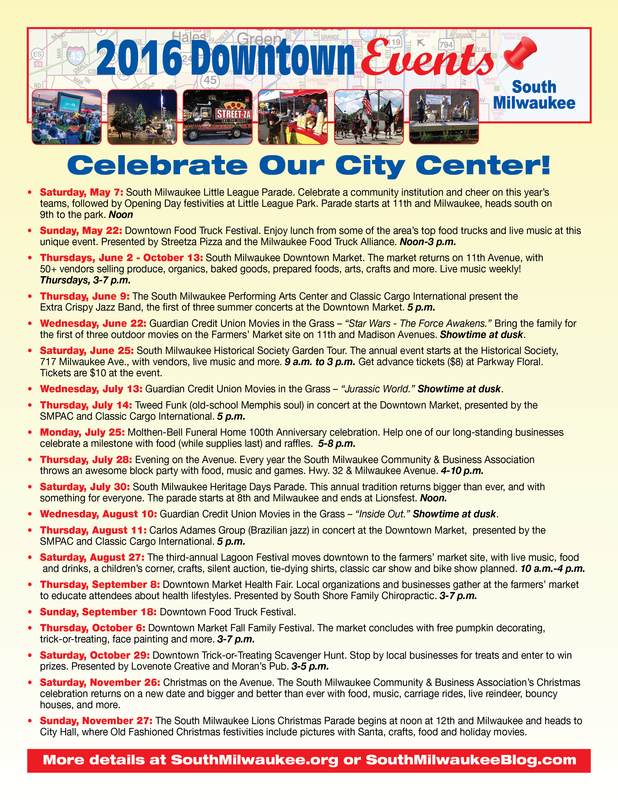 South Milwaukee is becoming a leader in cool, business- and community-building events, especially downtown. And we should all be proud of that. Here is a high-resolution JPEG. Please share on social media, and tell your friends! I always love these reminder posts. Very informative and fun to read. Thanks.